Right-click on an image hotspot while logged in as an administrator. Copy the path that displays. While viewing your Draw Attention interactive image, right-click on the hotspot and select Copy link address, Copy link, or Copy Link Location from the contextual menu that appears. 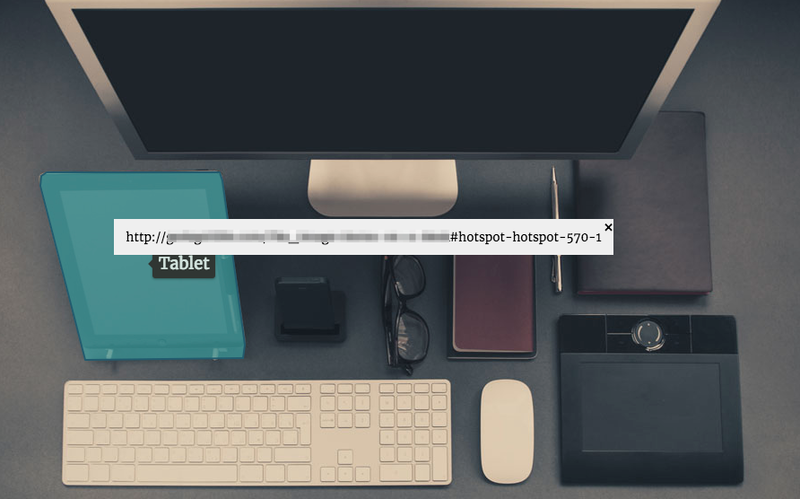 This link can now be used to open this page with the selected hotspot already highlighted. As an example, this link will display our Arrondissements of Paris demo with the 1st Arrondissement already highlighted and the associated info showing in the More info area.